Can You Design Your Own Luck? 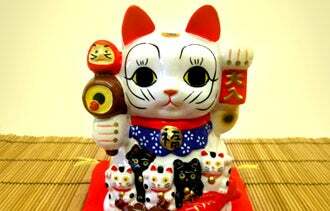 The word “luck” itself clearly hits a hot button and creates a sharp reaction. While gathering research for my book, Lucky By Design, I conducted an informal survey asking about the role luck plays in business, if any. The truth is that this person completely misinterpreted my intent. This notion of “success only comes to you if you’re lucky” was the furthest from my mind. In fact, I had come to an entirely different conclusion based on years of working with thousands of hard-working entrepreneurs. In a nutshell: Luck is about persevering through good and bad times, and seeking opportunities that will get your business to the next stage. It’s essential to have a clear direction, work hard at doing the right business activities (sweat equity on its own is not enough), make the right connections, believe in what you’re doing, and then seize the opportunities that align with your goals and avoid those that don’t. But what did survey respondents say? The No. 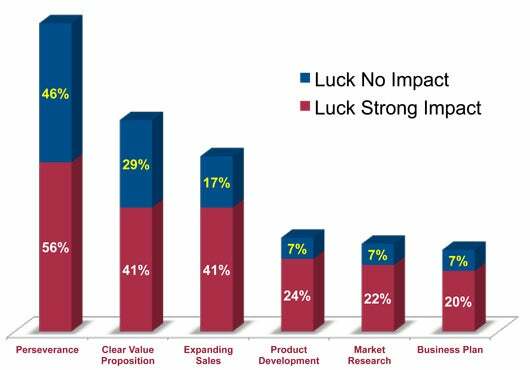 1 most important finding was this: People who consider themselves to be lucky and whose businesses are impacted by luck are significantly (2 to 3 times) more heavily involved in business growth activities (market research, sales expansion, etc.) than people who think luck has no impact on their business. I also compared the activities that these folks were engaged in either during or before their lucky breaks, based on how much they actually believed that luck impacted their business success. Wow! In every one of these categories, these supposedly “lucky” individuals were more heavily involved in business growth activities than the average respondent and significantly more involved than the person who thought luck had no impact on their business. For example, 24% who believed that luck impacted their businesses had been involved in new product development – whereas only 7% who didn’t believe in luck had been involved. Let’s look at the numbers for folks who believed luck had no or minimal impact on their company’s success. Approximately 7% were working on a business plan or doing market research (compared with more than 20% in the lucky category). Only 17% were expanding their sales effort (versus 41% who were lucky). Some 29% focused on their value proposition (versus the 41% who were lucky). Enough said! Entrepreneurs who believe luck had a big impact on their success (represented by red) were more heavily involved in business-growth activities than those who thought luck had no impact (blue). The chart shows the activities that both camps were engaged in before or during lucky breaks. What do they have in common in terms of business activities? Perseverance alone. Good old sweat equity is the common denominator. A significant portion of the folks who didn’t believe luck had an impact on their business (46%) believed in persevering compared with 56% of the more positively impacted business believers. It’s obvious to see that they simply were not doing the same things as the folks who considered themselves blessed by luck. Clearly, it’s not enough to persevere. Being the last person standing doesn’t mean you win the game. You’ve got to be performing the right activities while you’re in the game to take advantage of lucky opportunities and be successful. Luck comes to those who are engaged in the right activities – to thrive, not just survive. Many people think of luck as random events that they can’t control or influence. The problem with this is that it removes you from the picture. Thinking of luck in this way dismisses many of the activities that you perform to influence your company’s destiny. Given that perspective, you may as well sit back and just wait for things to happen – good and bad – because you don’t influence them. I challenge you to turn your thinking upside down because while you cannot control every aspect of your business’ outcome, there is much that you can do to influence your success. If you think of luck representing the multitude of “breaks” waiting to be grabbed, then by performing the “right” activities such as planning, research, sales and product development, you can prepare for these lucky unforeseen opportunities and seize them when you recognize them. Excerpted from Lucky By Design (Dog Ear Publishing, 2011) by Beth Goldstein.